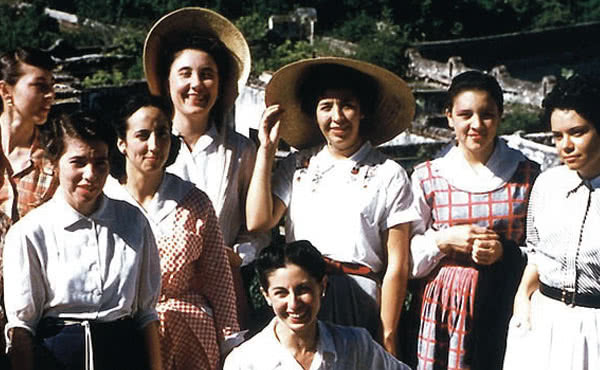 Guadalupe Ortiz de Landázuri, who helped begin Opus Dei's apostolic activities in Mexico, strove to provide Christian formation to people from all social backgrounds, including young women mired in poverty in farm villages. Upon arriving in Mexico in 1950, the members of Opus Dei—including Guadalupe Ortiz Landázuri, a recent graduate in chemistry—faced the challenge of presenting the Gospel message and the universal call to holiness to people of all social classes. They soon realized that in their new country the social classes were strongly divided and isolated from one another. Inspired by the words of St. Josemaría, “Out of a hundred souls, we are interested in a hundred,” they sought to come in contact with people of all backgrounds. They had the assistance of the Archbishop of Mexico City, Luis María Martínez, who helped them begin various initiatives. 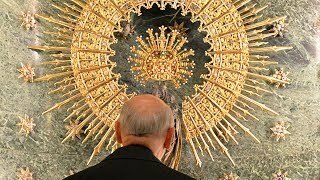 They offered the people they met the opportunity to attend courses and classes of Christian formation, through which they also made known the message of Opus Dei. Shortly after arriving in the country, the women of Opus Dei opened a student residence on 32nd Street in Copenhagen, Mexico City, and began to offer activities of Christian formation there. In addition, they tried to find a large house outside the city to reach more people and have a place to organize spiritual retreats and other activities. At first, they used homes that were lent to them outside the city. After a while, the owners of an old sugar mill, Santa Clara de Montefalco, decided to donate an old hacienda that was in very bad shape. After extensive remodeling, the renovated hacienda became the center for their retreats and workshops. Also from there a wide-ranging social work was launched to better the life of the farm workers living in the surrounding countryside. Even before Montefalco was obtained, courses had begun in the Copenhagen residence for young women to give them the professional skills needed for work in the home. The bishop of Tacámbaro (Michoacán), Abraham Martínez, had encouraged Guadalupe Ortiz de Landázuri to travel through the villages of his diocese to publicize the vocational training courses offered at the residence, in order to improve the life of the young women living on the farms, who were mired in poverty and with little access to education. Bishop Martinez, shortly after Guadalupe’s death, wrote in the Diario de Yucatán: “I still remember Dr. Guadalupe Ortiz de Landázuri, who died in a holy manner four years ago. A woman of great distinction and elegance, deeply cultured and, rare in those times, a chemist by profession, she traveled through the villages, often on dirt roads and on horseback, talking with those dear people of my land. How well they understood and assimilated what she taught them!” The first young women from these villages arrived at the residence on Copenhagen Street in January 1951 at the invitation of Guadalupe. Montefalco has had a big impact over the years on the surrounding state of Morelos. The school begun there back in 1952 has now helped thousands of women from the surrounding farms to better their education, besides providing family orientation courses for the parents. A school for boys, the El Peñon Family Farm School, offers a similar service for the boys growing up nearby.